IFC Center presents a special evening with documentary filmmaker Marshall Curry, including a screening of his Academy Award-nominated short A NIGHT AT THE GARDEN (2018) and his first Academy Award-nominated film, the feature STREET FIGHT (2005). STREET FIGHT (2005, 83 min.) is a thrilling story of bare-knuckle politics. When a young unknown challenger named Cory Booker takes on the head of a powerful political machine, he discovers that sometimes elections are won and lost in the streets. Gritty, funny, and surprisingly inspirational, the film goes behind-the-scenes in a rough-and-tumble campaign in Newark, N.J. 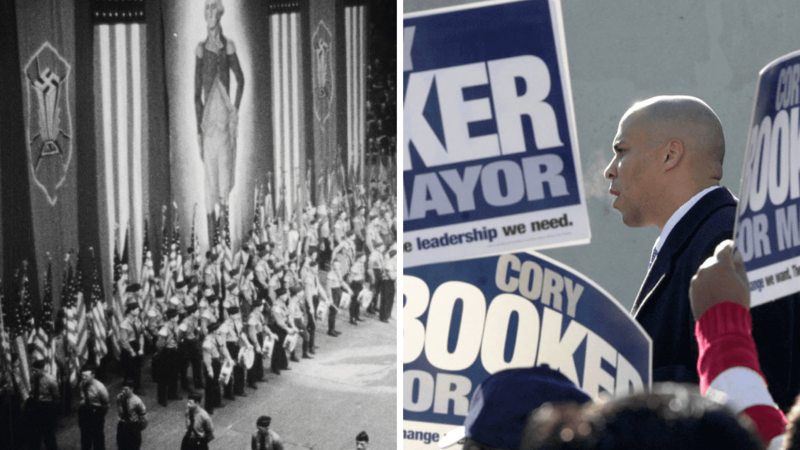 It offers an intimate, unvarnished view of Booker before he became a U.S. Senator and regular fixture on national political talk shows. STREET FIGHT also explores the complex politics of race in an election that pits Spike Lee and Cornel West against Al Sharpton and Jesse Jackson, and features Bill Bradley and Chris Christie. Winner of the Audience Award at the Tribeca Film Festival, the critically acclaimed film was called “the best American political documentary since The War Room” by the Washington Post. In 1939, New York’s Madison Square Garden was host to an enormous—and shocking—gathering of 22,000 Americans that has largely been forgotten from our history. Curry has assembled archival fragments from that night to show the casually violent fervor of a rally with chilling resonance in today’s political climate. A Q&A with the filmmaker follows the screenings.